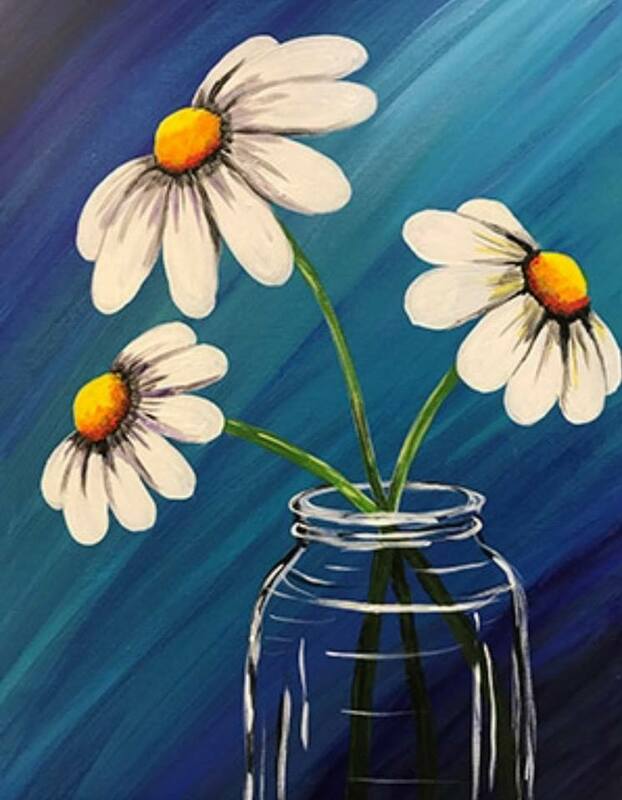 Enjoy a fun and relaxing evening learning to paint. Students will paint “Daisies” (pictured above). The class is appropriate for all skill levels, beginner to expert, ages 14 and above. All supplies, excluding smocks, are included in the $28 fee, as well as one drink and one snack. RSVP to www.facebook.com/events/376529473135642/.